The vision of ABCD: Art Building Children’s Dreams is a world where vulnerable children can achieve their dreams. 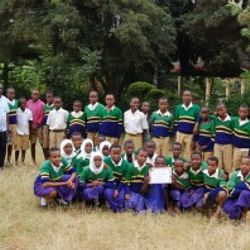 We are a UK charity that raises funds to help children in rural Tanzania complete their education. Overall the ABCD concept is very simple: children in disadvantaged communities paint or draw a picture of their dreams. The drawings are combined with photographs and stories to create a very special and unique work of art. This in turn is sponsored by supporters and 100% of the proceeds go to pay for the child’s education. It’s that simple! To provide scholarships, bursaries and prizes to children in developing nations to assist with their education. 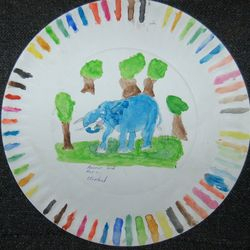 To increase the public’s understanding and appreciation of the arts from children in developing nations through presentations, seminars and fundraising events. 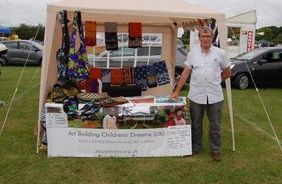 The mission of ABCD: Art Building Children’s Dreams (UK) is to provide financial assistance to the schools and families of orphans and children at risk, by using the children’s art to raise funds for their education. 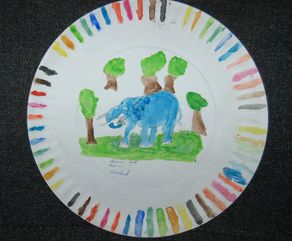 The vision of ABCD: Art Building Children’s Dreams (UK) is a world where vulnerable children can achieve their dreams. ABCD: Art Building Children’s Dreams (UK) has been granted UK Charity status reference no. XT38573.